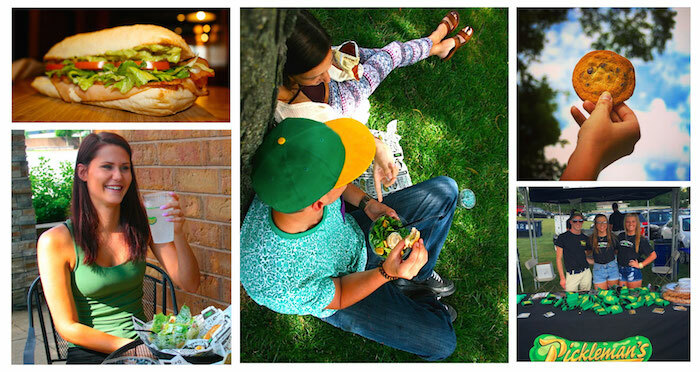 Become A Brand Advocate & Earn Free Pickleman's, Swag, and Specials! Pickleman’s is looking for customers who have a wholesome online reputation and want to earn Free Pickleman’s. We need your help telling the Pickleman’s story and sharing our passion for great food. If you think you’ve got what it takes to become a Brand Advocate fill out the form below and we will reach out to you! What does a Brand Advocate do? A Brand Advocate will share their posts via social media with the Pickleman’s Marketing team. If we choose to use your post on social media you can earn gift cards, swag, and exclusive discounts. We Are No Longer Accepting Brand Advocate Applications At This Time.